One of our client journals uses the Chicago Style Manual author-date system for citation and documentation. Authors routinely ignore this instruction, or, because they’re familiar with APA style, which is a different author-date system, they become confused and stumble around. Others imagine they can adapt MLA style, a fancy that leads them to create grotesque chimeras. So, in an effort to cut the amount of ditzy copy-editing we have to do — and also to give our faculty editors solid grounds to return an article with nonstandard documentation and demand that the author get it right — we created a short guide to highlight the main differences among these three major citation systems. 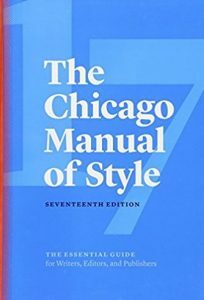 If you are ever asked to use Chicago author-date style, the 16th edition provides a description in chapter 15. If you’re unfamiliar with Chicago style, you’ll also need to refer to chapter 14 to view the standard format for reference list entries. Chicago style: Boxankle describes a late twentieth-century visit to the rings of Saturn (2014, 31-65). APA style: Boxankle (2014, pp. 31-65) describes a late twentieth-century visit to the rings of Saturn. MLA style: Boxankle describes a late twentieth-century visit to the rings of Saturn (31-65). Chicago titles each article’s bibliography (list of references) References, not Works Cited. Chicago and MLA: Boxankle, Oliver Q.
Chicago: Boxankle, Oliver Q. 2013. Worlds without End. New York: Oxford University Press. APA: Boxankle, O. Q. (2013). Worlds without end. New York: Oxford University Press. Chicago: Boxankle, Oliver Q. 2013. “A Visit to Saturn’s Rings.” Archives of Intellectual Exploration 4(2): 331-49. APA: Boxankle, O. Q. (2013). “A visit to Saturn’s rings.” Archives of Intellectual Exploration, 4(2), 331-49. MLA: Boxankle, Oliver Q. “A Visit to Saturn’s Rings.” Archives of Intellectual Exploration 4.2 (2013): 331-49. 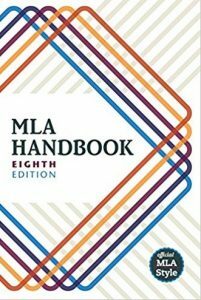 MLA: Not applicable; MLA does not use author-date style. Chicago: Boxankle, Oliver Q., Harvey Wallbanger, Jane Doe, Rusty Knale, et al. APA: Boxankle, O. Q., Wallbanger, H., Doe, J. B., Knale, R., Plath, S. T., Hemingway, E., . . . Oates, J. C. (2014). MLA: Boxankle, Oliver Q., et al. Chicago: Boxankle, Oliver Q. 1997. My Life as an Interstellar Explorer. New York: Random House. APA: Boxankle, O. Q. (1997). My life as an interstellar explorer. New York: Random House. Chicago: Boxankle, Oliver Q. 2005. “Around the Moon in Eighty Hours.” In Pathways of the Astronauts, edited by Harvey Wallbanger, 308-11. New York: Vintage. APA: Boxankle, O. Q. (2005). Around the moon in eighty hours. In H. Wallbanger (Ed. ), Pathways of the astronauts (pp. 308-311). New York: Vintage. MLA: Boxankle, Oliver Q. “Around the Moon in Eighty Hours.” Pathways of the Astronauts. Ed. Harvey Wallbanger. 308-11. New York, 2005: Vintage. Chicago: Boxankle, Oliver Q. 2013. “A Visit to Saturn’s Rings.” Archives of Intellectual Exploration 4(2): 331-49. http://AIE.com/boxankle/visit/html. This list of tips is a very brief thumbnail sketch of some of the major differences between Chicago author-date, APA, and MLA styles. It doesn’t cover all the types of sources that you, as an advanced researcher, are likely to encounter. For all the details, be sure to consult The Chicago Manual of Style, 16th edition. The edition number is important: please do not use Chicago 15 or Chicago 14. Feeling like you need an editor? You do. Even if you write novels and nonfiction free of scholarly apparatus, Chicago style is the standard for trade book publishing. If you don’t know how to use it, you’ll need someone to regularize your text, at the very least. A good editor can also advise on many writing and organizational issues. Get in touch through the contact form at The Copyeditor’s Desk. 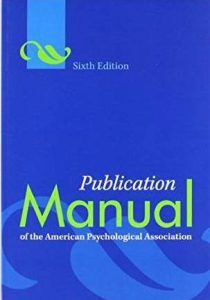 This entry was posted in The Copyeditor's Desk, Writers Plain & Simple and tagged American Psychological Association style, APA in-text citation, APA references, Chicago author-date citation, Chicago style, MLA in-text citation, MLA Works Cited, Modern Language Association style on January 7, 2015 by funny.